Clear Glue Stick — The same as the Color Glue Stick, but its application is clear. 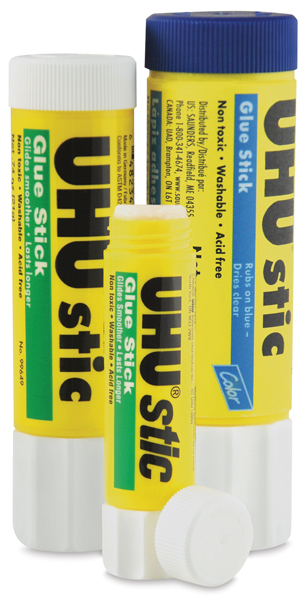 Colored Glue Stick — This glue stick rubs on blue, so you can tell exactly where the glue lies. Once the glue dries, the color disappears and it's completely clear!